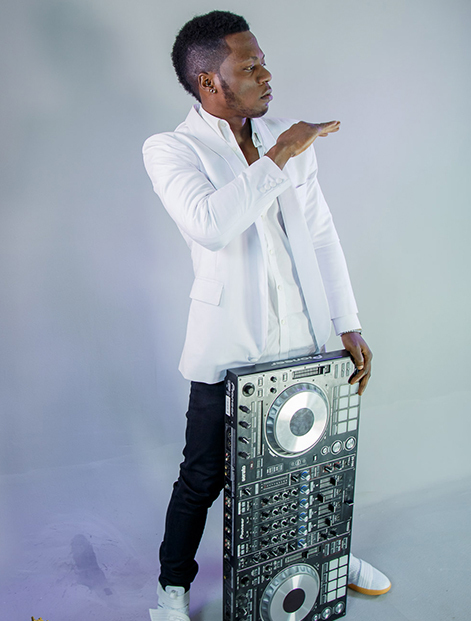 Emmanuel Chidera Okoli, popularly known as International DJ Derekz Effects was born and raised in Anambra State. Having initially planned to study Psychology at Enugu State University, DJ Derekz Effect’s plans failed through because his family was not financially capable to pay for his university fees. With these obstacles in mind, DJ Derekz decided to become a street entrepreneur, harnessing his own computer literacy skills, in which he offered a paid service of teaching the basics of computer software. Having not been much of a success; DJ Derekz opened a call center, selling mobile recharge cards. When he found that business was competitive in an already saturated market, he decided to leave the business for his elder sister to manage. Eager to expand his horizons within music, DJ Derekz, decided to join his brother, Flavour N’abania who at the time was honing in on his musical talent, regularly performing at local bars. DJ Derekz worked with his brother as a ‘spray picker’- collecting money thrown as tips whenever his brother performed; and packing instruments after each gig. Having stuck to this role for some months; DJ Derekz envisioned himself playing for customers in bars, similar to his brother. Being one to strike whilst the iron is hot, DJ Derekz invested in a used compact disc player and DJ mixes, and would play a selection of mixes in the DJ’s corner after his brother’s performances. DJ Derekz soon built a strong following, with club and bar revelers requesting special mixes. This encouraged him to save more funds, which enabled him to buy a used professional DJ mixer, from a friend and popular DJ personality at the time, DJ Bala. From there, DJ Derekz performed sets at small gigs, under the mentorship of his brother. Now an established DJ in his own right, and under the management of 2Nite Music Group: DJ Derek is all about the mood, vibe and hypnotic grooves. Irrespective of musical preferences, DJ Derekz, mixes are guaranteed to get everyone moving!